We really hope that you have found our website helpful. If so, do please let us know by leaving a comment below. If you have any suggestions for improvements, we’d be delighted to hear those too. We just ask that you don’t comment asking for help with casualties as we may not see your post in time. If you are in need of advice please visit our help page or, for general enquiries, our contact page. Great site, easy to follow links. Have lots of wildlife hereabouts, especially foxes. A recent encounter with a seagull, hit by a car, picked it up no apparent injury, it appeared to have been knocked out, kept it still and warm, took it home and put it into a box, whilst deciding what to do about it, it came round and within minutes flew off. I wonder if it survived. The other day I came home from work and found an injured swift quite literally on my doorstep. I put it in a box and trawled the Internet to see if there was anything I could do and stumbled upon this site. I am of the opinion that unless there is untreatable pain there is no definite reason why a creature should be put to sleep. I am going to try to find a rescue centre that will attempt to help the swift. I am quite upset at the thought that it is unlikely it will be able to soar majestically as is its birthright, but am equally distraught at the thought that it will be put to sleep without the attempt to nurse it to health. Great site wish I had found it earlier. I has given me the confidence to get on with helping. Some people see this as interfering and nature should be allowed to run it course. Good there people like you out there. This is an excellent site, it is the only place that I can find sensible advice on how to cope with an injured wild bird. RSPCA a total waste of time. Thank goodness for people that really care about the animals that are not newsworthy enough for the RSPCA. I work for Hessilhead Wildlife Rescue Centre in the West of Scotland, just thought I say what a fabby site this is!. Lots of very sensible advice on a wide range of birds and mammals, well done! keep up the good work! Thank you for your clear advice on finding birds. My cats have just brought in their first (dead) bird and when we went to collect it we discovered another slightly injured one on the path. I didn't realise the risk of infection and have placed it in a shoebox for the night to take to a sanctuary tomorrow. Without this site I wouldn't have thought to check what they do with 'vermin' as i think this could be a pigeon/dove chick. The links to local rescue centres are very useful, thanks. I called about a hedgehog found in back garden I was given advice on what to do with it and how to help it as it was potentially hyperthermic. I was also able to drop this animal off with a volunteer at a given location within a 25 minute drive from my location. This site is easy to use and the people I dealt with seemed knowledgeable and responsible. I was able to get the hedgehog to help quickly as a result. Fantastic service and informative site. Thank you. Excellent site - gave me the info I needed to rescue 3 orphaned hedgehgs. Easy to use with all the essential info. Found a Marsh Harrier in my garden looked poorly mostly because it was soaked and it was pouring with rain, it was dragging one wing, took advice from this site and chap coming to collect tomorrow. Lucky bird perched where i could see him in my garden and I only saw him as it started to get dark. Hello, we’ve just read your advice page, about baby birds, and are now doing our best with that. Great website - thank you. Really too complicated. Trying to find where to take a young, possibly injured gull in Bath, your site takes me back and forth getting nowhere. Really sorry to hear that. I will send you an email to try and find out more about your experience and how we can make improvements. My dog caught a magpie and it was injured I found the web site on the internet and text the number supplied within 10 mins I received a message with help and advice. Amazing service thank you the magpie is going to get help tomorrow ???? he is now safe in my garage with some water and food . Thankyou again for the speedy response and advice much appreciated ???? A bird had fallen out of its nest. This text service was very helpful and gave me the phone number of the local rescue centre. The bird sadly didn't make it. Seagull chick caught up in barbed wire on chimney pot. Seagull parents nested there last year rearing 2 chicks successfully. House-holder allowed this without interference but later placed barbed wire over chimney. Seagull parents not put off! 2 chicks hatched in amongst the wire - ok until they got a little bigger then one caught up by wing. Contacted you, you gave me Pawz for Thought to contact. Unable to get through so contacted the RSPCA + Tyne & Wear Fire & Rescue Service who liaised to carry out an amazing rescue. I rang and thanked them and again tried Lyn at Pawz for Thought who was just in the process of taking said chicks into her care! Wonderful and thank you all for such a great response. My faith in humanity restored by the kindness and caring experienced with my request. Thank you helpwildlife.co.uk for your help in finding a rescue centre. The lady I spoke to from Weymouth Wildlife Rescue was very knowledgeable, friendly and helpful and has given me useful advice. I found a baby bird in my garden and wanted to help it but didn't know where to take it as it was getting dark! I found this text service to be of great help with advice etc I took the baby bird to st tiggywink hospital. I felt very relieved that I had given this baby bird a chance to survive! What a fantastic service you provide. I rescued a baby pigeon and your swift advice via text meant he was being looked after by professionals within the hour. Thank you so much for such a great service. I could not praise you enough and intend to spread the word to everyone I meet! Hi Ann At the moment we don't have the resource to be able to operate a telephone line. We provide numbers for wildlife rescues and advise that visitors contact them directly in urgent situations in order to ensure they receive advice quickly. For non urgent enquiries we are best contacted by email. Thank you for your advice which has helped me decide what to do next. Many thanks I think this site is a great help. Yesterday evening witnessed a fox attacking a large adult cat in my garden, yes you are right the fox was only slightly bigger, when I went out side the fox withdrew a little, the cat was very still, I dared not appoach and the fox returned to the cat to continue its attack, the cat obviously injured managed to run but the fox caught up and attacked again, the cat turned to the fox and hissed very loud as I also made noise the fox retreated again, the cat was attempting to return to a neighbour's house and again the fox gave persuit but I managed to scare it off. It seems your research needs researching and updating as fox behaviour and how it's having to adapt to survive in human populated areas is involving rapidly. I live in a semirural location on the edge of Louth market town. Several cats have gone missing over recent years, notice on lamp post and such in my area, I wonder if what I witnessed is not so solitary. Hi Carly, fox attacks on cats are incredibly rare and there is no evidence to suggest that this is changing. This time of year foxes are giving birth so it's possible that you witnessed a vixen protecting recently born cubs from a perceived threat. Not in my case for a wild deer, tried several of the wildlife numbers left messages but no reply as yet!! Wildlife rescues are exceptionally busy this time of year with babies I'm afraid. I hope someone was able to help. No information to help with orphaned swans in Nottingham. Are we without help? Hi Kelly. We try to cover the most common scenarios on our advice pages such as catted birds but there are a myriad of ways wildlife can get into trouble sadly. 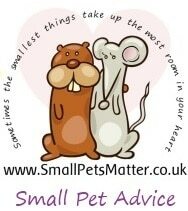 You're welcome to email us for non emergency advice otherwise please do telephone your nearest wildlife rescue listed in our directory. If cygnets are without either parent then they will definitely need help. Whilst adding my hedgehog rescue, I had no option but to add another species before submission. Site very informative but for one thing. My cat brought a tiny bird in late at night (well out of hours) so was unable to contact a rescue, further tips would have been helpful regarding helping the bird through til morning. There seems to be a bird stuck in the chimney at my friends house, but the fire place is enclosed. Can we call someone to get it out? Hi, please email us at enquiries@helpwildlife.co.uk with details and your postcode and I will try to find you some help. If you can include a picture of the bird as well, that will be helpful. Not on single place in Leeds that can help an injured bird. Shameful to say the least as we also have wild animals. 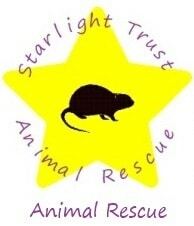 Sadly some of the rescues we used to have listed in the Leeds area have closed. Wildlife rescue is very expensive and many groups simply don't get enough to support to carry on their work. Recently contacted help wildlife when a young starling flew into a window. Although the bird was trying to move it just couldn't get its balance and kept falling over. Kept it in a box for several hours and then rang Birds of a Feather which is based near Rochdale. Robert answered immediately and said to bring it round for him to check on its condition. He kept the bird overnight and rang me the next day to update on its progress. It still couldn't stand up properly but had been eating well. We arranged that I would ring him after the weekend for another update and if it was ok I would bring it back home to release it in familiar territory. Really amazing site, fantastic people, just a shame it's not better known. Lots of other well known charities give advice but no help... once you have followed their advice you're on your own. Thanks for your help! you failed to address the issue of - what happens if you cannot find a sanctuary for the bird & have to keep it? i rescued an injured "racer" (now recovered) & i'm afraid to release it for reasons you have mentioned. Hi Combo, racers aren't wildlife so most of the rescues we list won't have facilities for them. We are aware of some rescues who can accommodate them though and it is possible to move them via couriers to sanctuaries further away. If you'd like to drop us an email with your location, I'll recommend some places for you. My cat got a baby bird this morning. I did my best to keep it safe and warm while trying to find a local sanctuary. I was so grateful to find a register on your website. RSPB no use at all. Thank you so much. Our bird is in expert hands now. We came across an injured baby moorhen who's legs weren't working this morning and thanks to your website we found SESAW in Essex who took the little guy in. They were closed when I called however as it was an emergency the answer machine said to come down anyway. A really helpful lady took it it. Many thanks for listing all the wildlife centres near us- some I was completely unaware off! A very helpful website which helped me locate a wildlife rescue centre not that far away, which did take the injured woodpigeon which I was trying to find a place for. Unfortunately, two of the nearer rescue centres I had found on the website seemed to not be taking admissions or didn't have a website/incorrect link - but one of those actually had a comment on their listing saying they weren't taking new admissions, which at least saved me time trying to look at their website/call them to find out. Obviously wildlife rescue is expensive work, and relies on donations, so I am not surprised some go through times they cannot take admissions or have to close. Anyway - this website certainly helps to make knowledge of what wildlife centres are available much more accessible and all in one place. So I greatly appreciate the work of this website, and it's volunteers! Please continue! Thanks. Thank you for this service and website. I rescued a frightened baby pigeon tonight on my way home from work. It was being preyed upon by two cats but I scared them off and was able to get a box from a neighbour. I didn’t know if anywhere would take it in. This website have me confidence I could find a vet and 2 hours later it was safely at a 24 hour vet. I hope it survives and thank my husband and landlord for their help with transport and loan of a car. Thanks for providing help and guidance on how to assist animals and birds in distress. There is nothing worse than not knowing what to do. Thank you for your website and rescue service. A friend rescued a pigeon. The pigeon couldn't walk and had a head injury. We were staying at a hotel. Unfortunately, it was after six and the other rescues were closed. RSPCA suggested taking the pigeon to a vet but there wasn't any around. So we called the Pigeon Rescue Team from the Help Wildlife website The lady came within 2 hours. Apparently, she took the tube. So please donate to these nice folks. Thanks again! Very useful site. Please could you add an edit button to the comments section. I wrote some feedback late at night and couldn't correct the mistakes so ending up leaving a few entries (please delete the earlier ones!). Thanks. The comments are provided by a wordpress plugin so we are limited to what that can do but I'll put on my list to have a look at others which might allow that option. Love the site ,but the link to the form to complete to offer to get involved does not seem to wor - is there any way you can send this to me? This site is incorrect I regarding foxes and domestic cats. I have had a fox coming up into our back garden. I saw it today praying on my cat and scared it off. Tonight my cat was out and attacked by the fox. My cat lost it's foot and part of it's tail and had to be taken into emergency. He is now going to have to have his whole leg amputated. Hi Melissa, sorry to hear about your cats injuries. We don't say it never happens, just that it's highly unlikely. Logically, thinking about the numbers of foxes and cats in the country, if foxes were a significant threat, there would be cat attacks daily and plenty of evidence of them, which there isn't. Did you actually see the fox attack the cat out of interest? It is possible the risk is higher this time of year when foxes have cubs as they may consider the cat a threat and defend their cubs against them. Thank you, I have managed to find a pigeon friendly rescue centre due to this site. I looked after Pat the pigeon for 4 days but was finding it difficult as I have 2 cats and no area to keep the pigeon outdoors, which I think is probably best. This has been very helpful. I will be making a donation to the rescue centre I found in Great Wyrley. This has helped me find a pigeon friendly rescue centre, I’m very grateful. Thank you. Alot of the centres have been discontinued and I was unable to speak to anyone about an injured pigeon. When I finally managed to locate someone in Somerset (there was no listing at all in Bristol and I don't have a car) he was lovely but the pigeon had quietly died in the hours it had taken to locate anyone. Though the information on the site is useful, the cases studies are awful, which ends up creating extra anxiety to an all ready anxious situation. I'm really appreciate the contact I did make as he said he would help in the future, but where is Bristol helpers? You're adamant they have to be handed over without any provision to do so. That poor little chap. I was hardly going to leave him when he was so battered, yet feel we let him down. Hi Claire, Sorry to hear you had difficulties getting help. We do have other options on our help page so that folks can get in touch in these circumstances. Unfortunately we cannot control where rescues are located, only list those that exist, and many have closed in recent years either through retirement or lack of funds. I'm not sure what you mean by the case studies but if you can share any more information on that, we'd like to hear your feedback so we can make improvements. Thank you so much for taking the time to flag this up. It turns out there is a Tillington near Petworth and our map had popped the marker there by mistake. I've now moved it - many thanks. I am looking after a dehydrated exhausted juvenile gull. I have read your section about baby birds and was pleased to see a separate category for gull chicks. It was very reassuring to know that young gulls often leave the nest before they are fully able to fly - this explained our patient's predicament! He/she is feeding and drinking well, and I hope to open the cage door in a couple of days! Thank you.